Ft Huachuca AZ - CO.
A fantastic design and further described as a Texas Independence Centennial commemorative featuring the famous words "Remember the Alamo" (1836 - 1936). Thanks, Moneta. 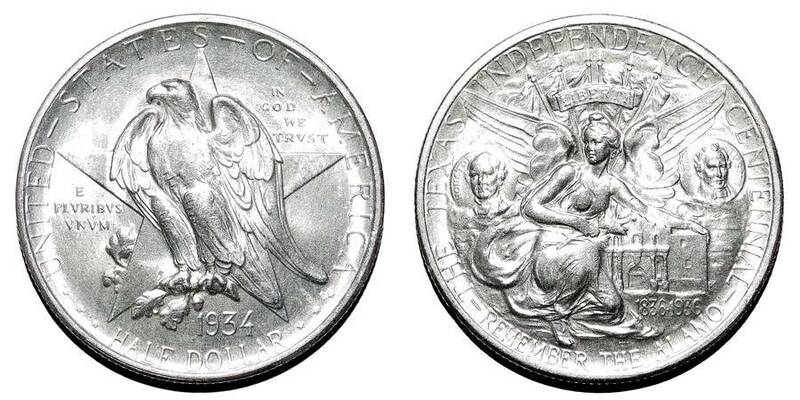 I often find U.S. coins dull and repetitive, but these commemorative half-dollars are the exception. They are beautiful and intricate. I love the detailing on both sides of this.